If this is first time that you want to configure STA, we recommend you leave it to us, Our experts will be your assistant. You just need to send us a sample video ( upload and send its download link ) about 5 minutes recorded by your Camera. Our experts will review your video file and they will send you a configuration file suitable for camera ( video conditions ). and settings for new cameras) . Do not worry if you face the "Unknown Publisher" message, this will be automatically fixed after the first run. 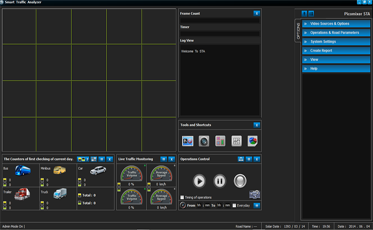 You can analyze up to 10 Cameras (10 real-time video streams) by registering 10 licenses on each machine.